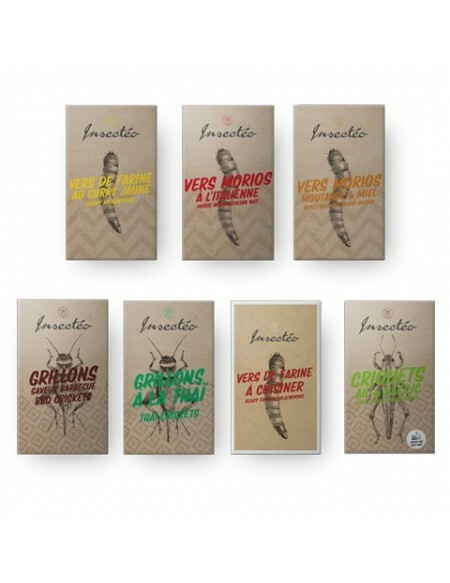 No less than 5 edible insects in a single box: locusts, crickets, mole crickets, bamboo worms and silkworms. 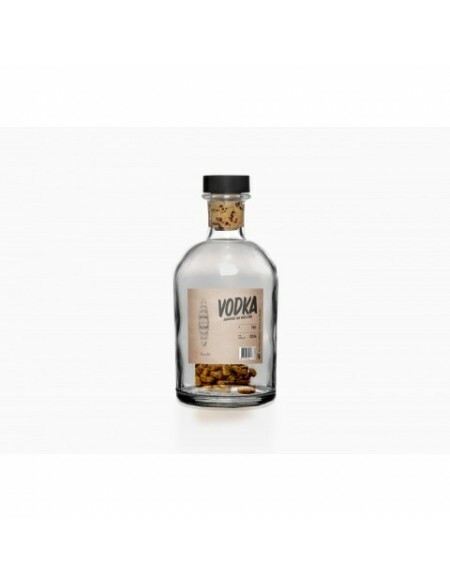 Ingredients: locusts, crickets, mole crickets (crickets mako), bamboo worms, silkworms, salt. Box of 25g dry insects. With the Mixed Bugs, you can taste at once five different species of edible insects: silkworms, bamboo worms, crickets, mole crickets and locusts. 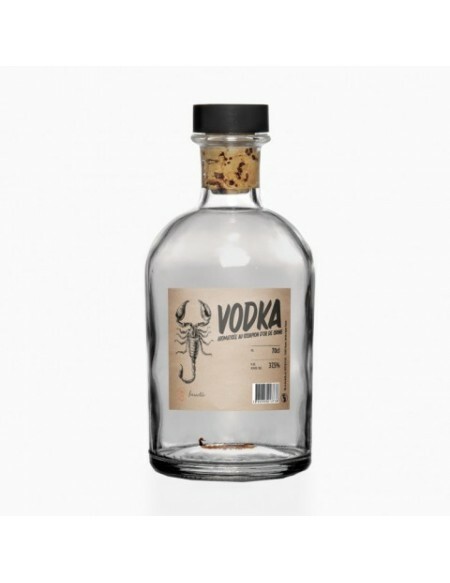 These high quality edible bugs from Thailand will surely make a splash with your guests! 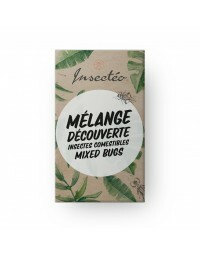 Especially since the composition of the Mixed Bugs box has been specifically studied to combine flavor and high quality. This is the perfect product to share with friends and family. Insectéo bugs come from a high-quality breeding created by our French partner in Thailand. 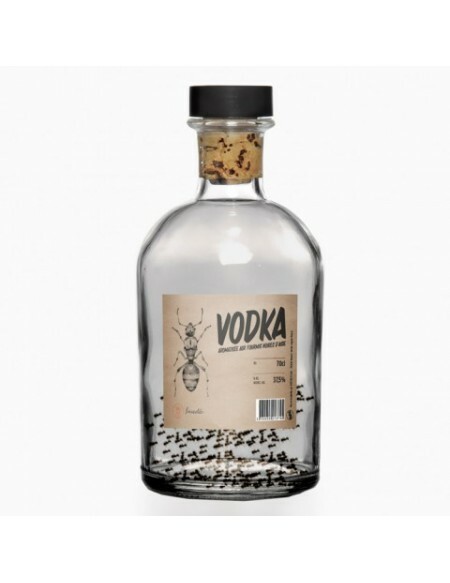 These insects are fed exclusively on plants from the local production such as fresh fruits ann vegetables, grains and leaves. It may look like a detail, but it is very important that these small animals have adequate food. On the one hand, this allows optimal animal growth, on the other hand, as the insects tend to acquire a taste of what they eat, it's important to give them only quality feed.